Comic #92 – Cost cutting. | I made inky. This entry was posted on Thursday, January 10th, 2013 at 11:01 pm and is filed under Comic. 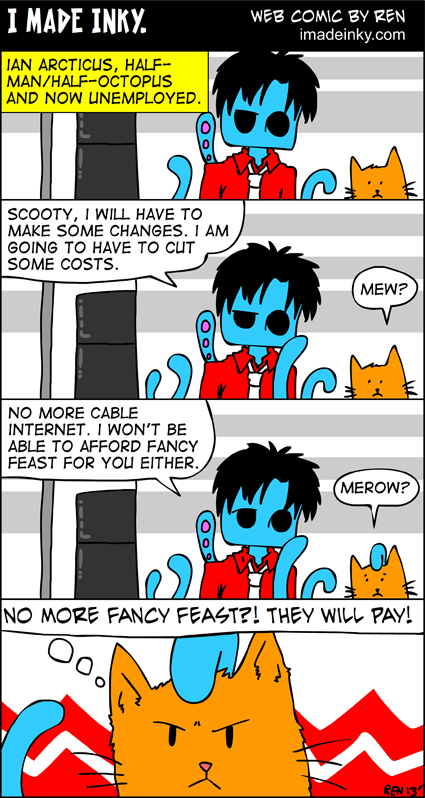 Tagged: cat, cephalopod, comic, ian arcticus, imadeinky, kitty, octopus, Scooty, squid, web comic, webcomic. You can feed this entry. You can leave a response, or trackback from your own site.